To prune or not to prune? That’s the question for just about everyone who’s ever planted a hydrangea. As experts in landscaping in Rock Hill, SC, we Rolling Hills Nursery & Landscaping has the answers you need. Here’s how to care for these beautiful shrubs. Why is there confusion about pruning hydrangeas? Since most shrubs require regular pruning, gardeners automatically assume they should cut back their hydrangeas. Add to this the fact that hydrangeas tend to look dead after the growing and blooming season is over. But hold on before you take out your pruning shears! There are other factors besides the shrub’s appearance that you must consider. Before you even consider pruning, you need to know which variety of hydrangea you have. Some produce blooms on old wood. If you were to cut out all the dead looking branches, you wouldn’t have any flowers! If you have this variety, cut back the branches after the flowers have stopped blooming. Other varieties bloom on new wood. These can be pruned in the fall or before the spring growth appears. 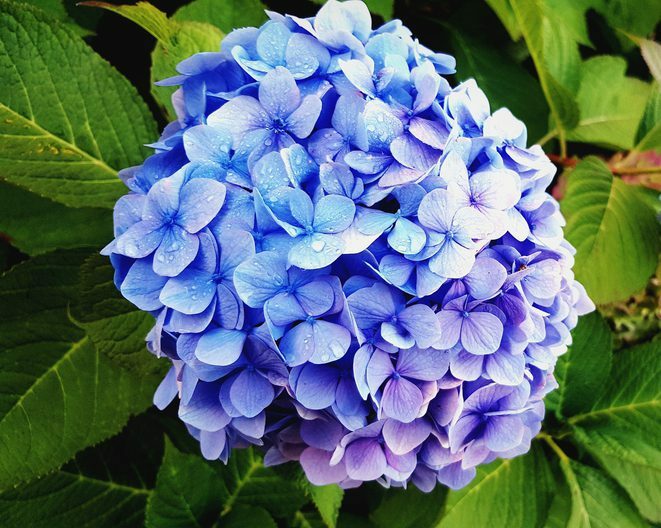 However, keep in mind that simply cutting the flowers or deadheading your hydrangea (removing any dried blooms that remain on the shrub) may be all the pruning you need to do. Not sure what to do with your hydrangea? Or would you like help with maintaining all of your landscaping? Call Rolling Hills Nursery today. We provide full-service landscaping in Rock Hill, SC. Let us help keep your yard beautiful!